The leadership of the House of Representatives has ordered an investigation into the management of Nigeria’s foreign reserve accounts. 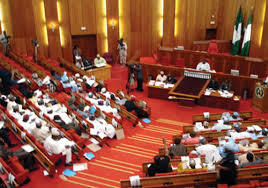 The House mandated its Committee on Finance to scrutinise the running of the Foreign Reserve Accounts by the Central Bank of Nigeria (CBN) and the interest that had accrued to the country from the last four years. In a motion sponsored by Honourable Abdulssamad Dasuki on Wednesday, the lower chamber pointed out that the accruals from the accounts had not been openly declared by the CBN. The Committee was also directed to understand the criteria being applied by the CBN for engaging foreign managers for the Foreign Reserve Accounts of the federation.